December 12, 2017 By Erika C.
In Sarasota, Florida there is a University that is focused on sustainability and alternative energy – It is Everglades University, and it is broadening its sustainability program in a big way. 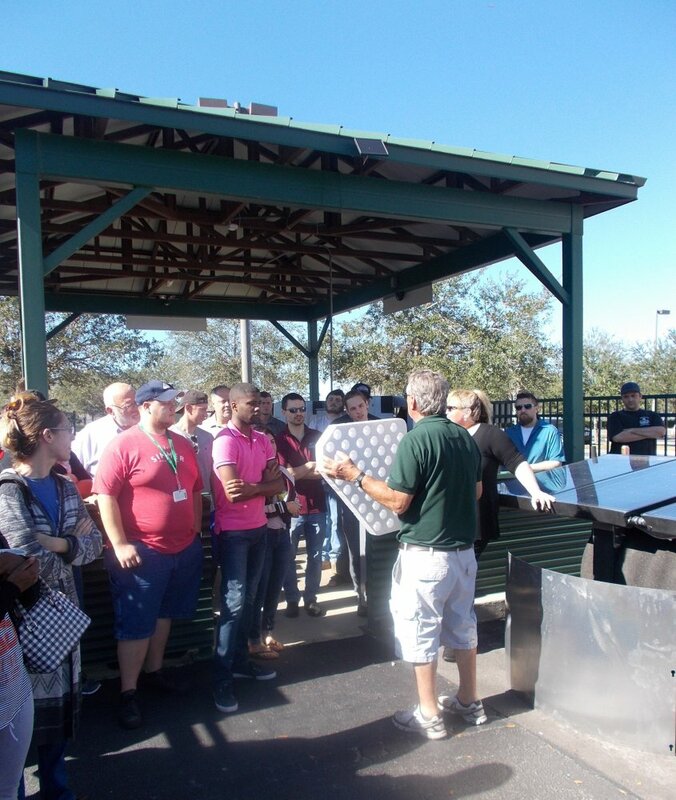 In addition to their very impressive solar lab and mostly solar operations that were designed and installed by Advanced Green Technologies, Everglades University recently chose to expand their educational programming to include aquaponics and Power Panel’s solar thermal technology. When visiting the campus, it is clear to see why the university is the recipient of the 2016 Outstanding Green Community Leader Award (U.S. Green Building Council); visitors are immediately welcomed by solar “trees”, an outdoor array of panels, and now their latest installation – The AquaGrove and Gen2O. In November, they unveiled their new additions to the public through the Annual Sustainability Fair. 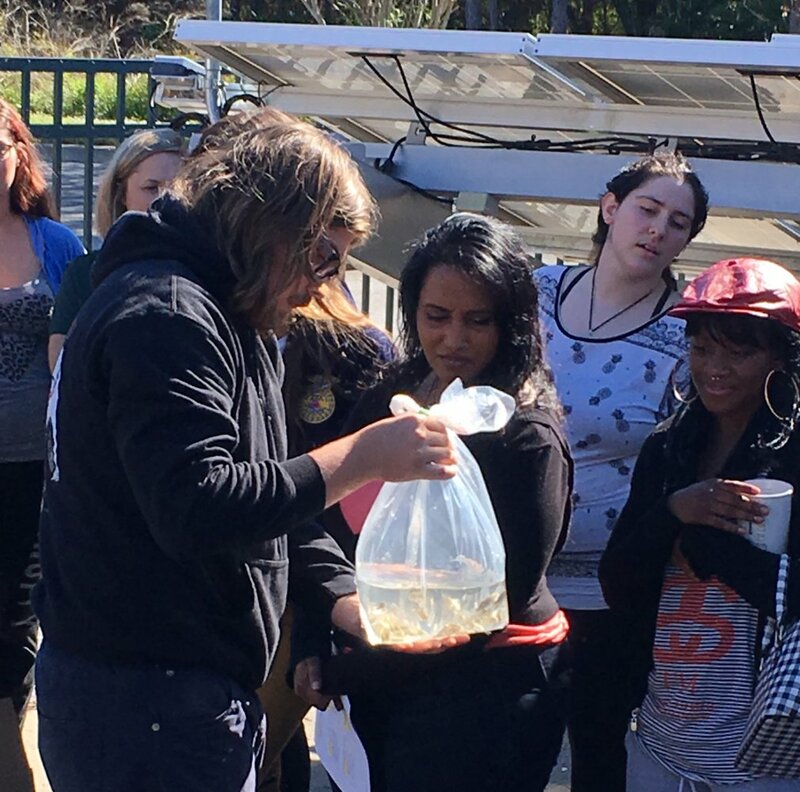 Representatives from AquaGrove were able to walk visitors through the process of aquaponics, the functions of the AquaGrove and Gen2O and the new concepts and learning modules that will be explored by students. From Everglades University’s homeopathy and alternative medicine programs to the multitude of sustainability and alternative energy courses and certifications offered, the AquaGrove will provide a chance for students to grow their own medicinal herbs organically and better understand alternative methods for fish farming and growing organic greens. To help kick off the program and introduce the first fish to the AquaGrove system, educator Vincent Newman of McArthur High School in Hollywood, Florida and members of his Future Farmers of America group traveled to Everglades University on Saturday, December 2, 2017 to guide the program leaders through the startup process. High school students who constructed and have managed an AquaGrove for more than a year provided an introductory training and reviewed best practices for initiating the aquaponics cycle and preparing and balancing the water for the fish. Through AquaGrove’s start-up kit service, thirty tilapia were delivered to the site, and soon thereafter the young fish were introduced to the tank. Everglades University is both excited and proud to launch and develop their aquaponics program. Their first harvest will be complete at the start of 2018, and we look forward to sharing their progress as they develop their system and continue to go and grow green through AquaGrove.